Do you enjoy good music ? Well no need to look far because we have a lot of dedicated and passionate musicians in Malaysian. And have to give support to our local music industry because it's really difficult to survive in this industry. 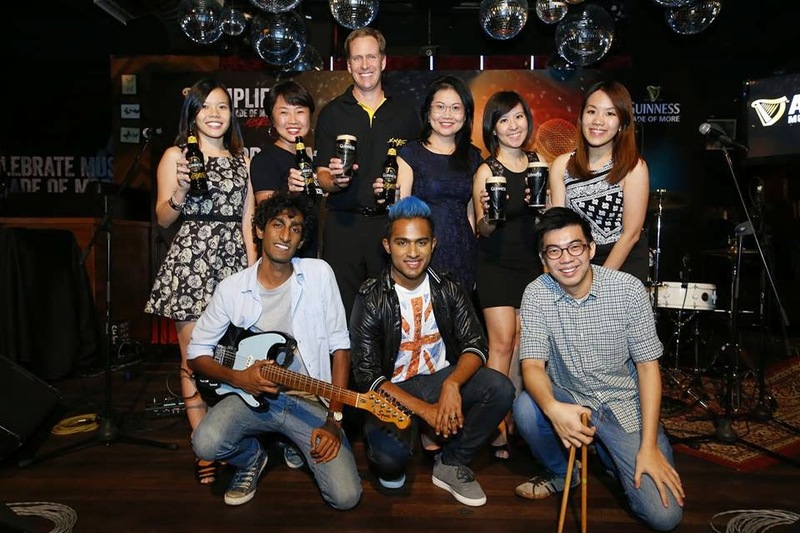 With that GUINNESS Amplify pledge to shine a brand new light in celebrating musicians ‘Made of More’! Set to be a platform where our extraordinary local musicians showcase their talent alongside international stars, Guinness Amplify: Music Made of More celebrates the remarkable journey of talented, dedicated and passionate musicians - musicians who are Made of More! Bruce Dallas, Marketing Director of GAB. 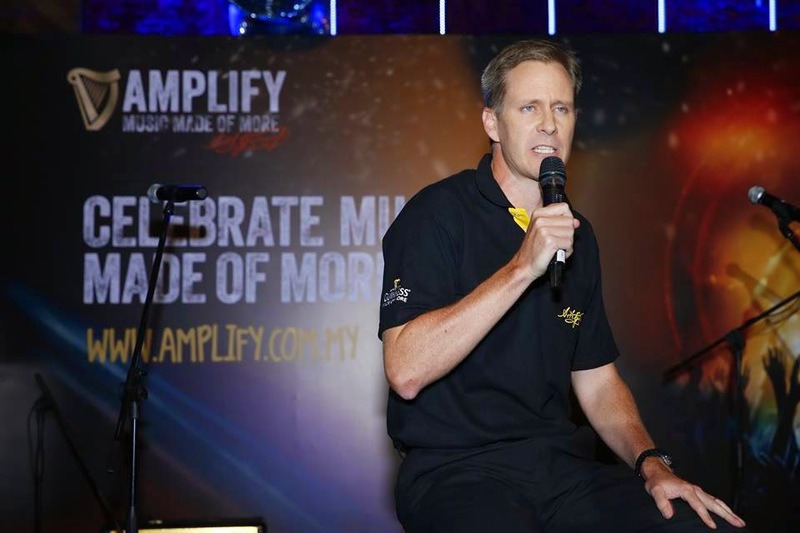 Guinness Amplify: Music Made of More will feature 6 incredible live shows in 6 weeks in locations across Peninsular Malaysia, with details of a special grand finale show featuring an international star soon to be revealed. Best thing about this is that admission to the 6 shows in the Guinness Amplify Live Tour will be free of charge and on a first-come, first-served basis, and will feature special promos on Guinness throughout the night. 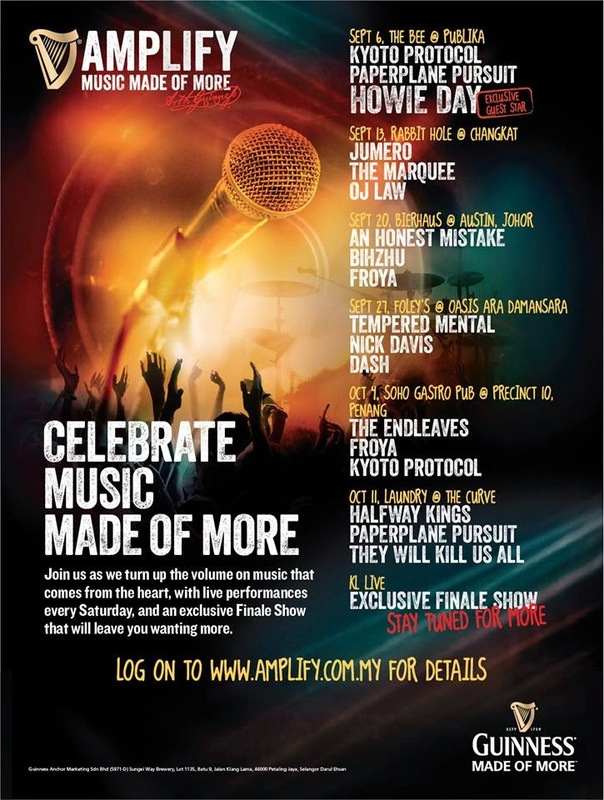 Showcasing the talent of 14 of Malaysia’s best acts including Kyoto Protocol, Paperplane Pursuit, OJ Law, Froya, and An Honest Mistake, Guinness Amplify: Music Made of More is set to ignite everyone’s senses in a celebration of talent, passion, and dedication. Kicking off the Guinness Amplify Live Tour on Saturday 6th September at The Bee, Publika, will be much-loved US singer-songwriter Howie Day, known for his smash hits ‘Collide’, ‘She Says’, and many more. Howie will be joined on stage by local music heroes Kyoto Protocol and Paperplane Pursuit. Throughout the campaign in September and October, there will be six shows over six weeks, with a special grand finale show yet to be revealed. The shows will take place at the following venues and dates stated above. To find out more details and see how you can get your hands on exclusive tickets to the grand finale show, stay tuned to www.amplify.com.my. Join the Guiness Amplify Live Tour, and be a part of this extraordinary journey through Music Made of More. Life is great when you have great music & great company! Not forgetting a bottle of Guinness to complete the night too! 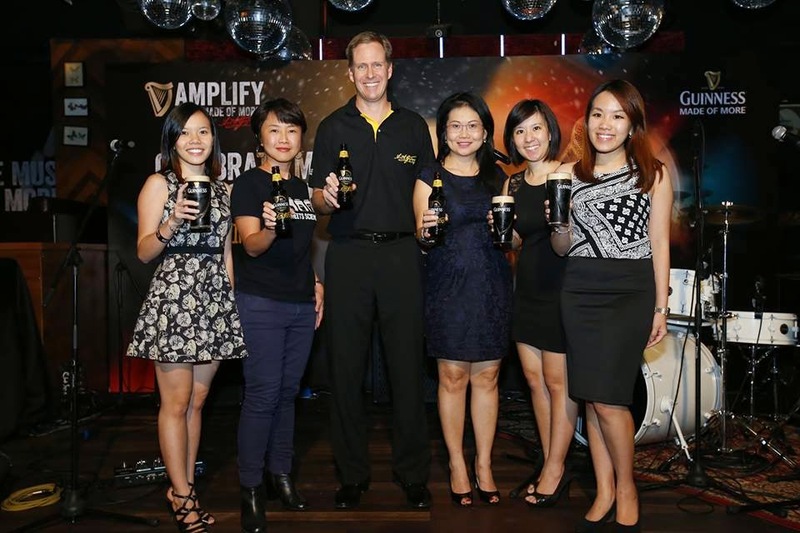 Oh don't forget to grab a Guiness at RM10 at all Guinness Amplify: Music Made of More Live Tour locations. At these locations also, the first two-hundred (200) customers, will be entitled to a Guinness stamp card where two (2) Guinness purchased will get you one Guinness, on us! Check out www.amplify.com.my to find out more about Guinness Amplify: Music Made of More.